The top flap of this bag conceals a large pocket and a smaller zipped top pocket. The top flap of this bag conceals a large pocket and a smaller zipped top pocket. 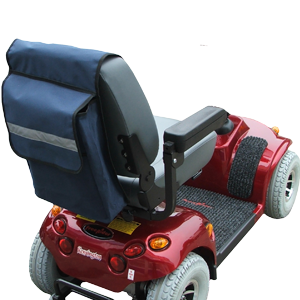 It has been designed to fit over the back panel of a wheelchair or scooter and is secured in place with a large velcro pad. It is available in a choice of Navy or Maroon.